November 2, 2010. We Won! 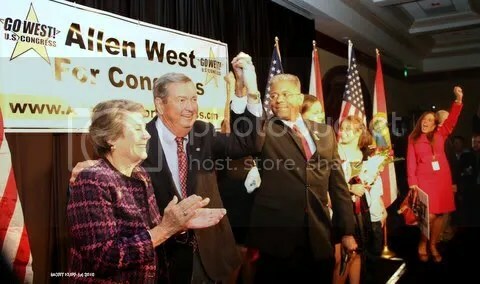 Thank you Florida. Thank you America! Lt. Col. Allen B. 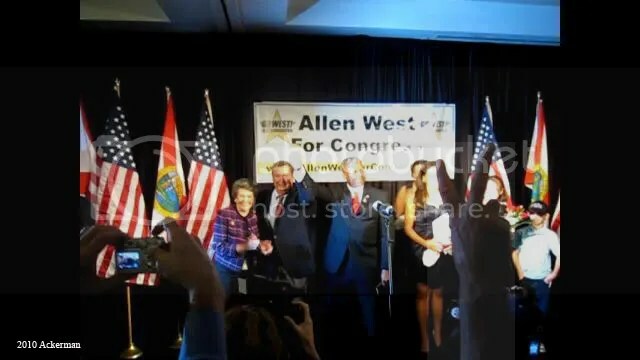 West (Ret) has been elected to Congress by the 22nd Congressional District in Florida. Praise God! 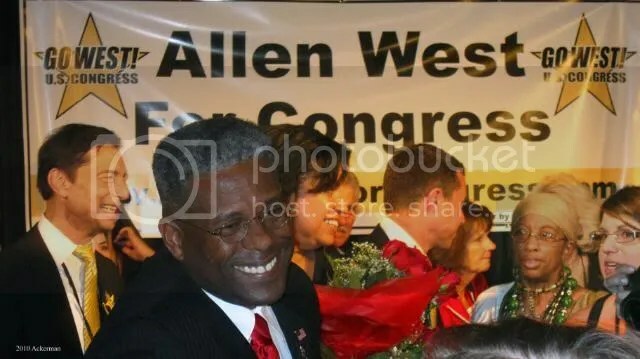 This fabulous American has been elected as one of two black members of Congress from the Southern States; the first since the Reconstruction of 1876 and according to Pete Hegseth at Weekly Standard,we now have “six Iraq and Afghanistan veterans (who) were elected to Congress (and possibly seven, if Jesse Kelly pulls out his race in Arizona’s 8th district)” ! 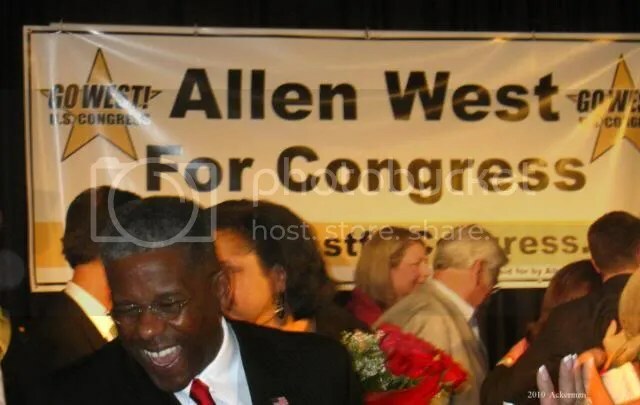 Those of us who formed a National “Go West For Allen West “support team here at ” Go West” in 2008 are not only thrilled that Allen is “Going To Washington”, but feel strongly there’s more in the future for this man than just Congress. He’s only just begun! And here are some wonderful pictures of the joyful celebration. Stayed tuned. We have only just begun …..
Greetings fellow bikers, South Floridians, and indeed all my fellow Americans who shall read this missive. It is again time for another venture into the realm of American politics. There is so much which I could easily assess but I think that right now we need a simple history lesson. The lead quotes come from two Men who were visionary in those simple words which they left for us all. I find in being a student of history that most of the things a Nation, or sometimes individuals, experience can be traced back to some period in earlier times. I do believe that history does repeat itself in revolving cycles, due to the ignorance of those who refuse to study it. As we analyze our most critical issue in America, truly the world, it comes down to economic/fiscal principles and policies. As a career military officer I remember the first books we were mandated to read as Second Lieutenants; Rommels, “Attacks” and Sun Tzu’s, “Art of War”. Later we read the strategic writings of Carl von Clausewitz, Jomini, and studied the campaigns of Alexander and Hannibal. During Operation Desert Shield/Storm the quick demise of the Iraqi Army came due to the tactic of envelopment. One of the earliest recorded uses of that tactic came during the Second Punic War of the Carthaginians against the Romans at the Battle of Cannae. It was conceived and executed by Hannibal. It is therefore not too amazing that I was able to find a fundamental quote from ancient history which we shall use as a basis for this month’s piece. The budget should be balanced. It is amazing to me that we are in the 21st century in America and yet our federal government is operating without an authorized budget. This is one of the primary responsibilities of the House of Representatives. How many of us could run our households our businesses without a definitive budget to guide our resources, and especially maintain cognizance of expenditures? This is why we must have not only a budget but we must institute a balanced budget amendment for our federal government. This is the first step toward fiscal disciple and stopping the floodgates of wasteful government spending. The treasury should be refilled. We are living under a guiding economic philosophy rooted in Keynesian theory, in other words, spend your way out of an economic morass. What that results in are insidious “stimulus” packages which all one needs to do is study Japan’s recession to see that policy will only extend the periods of recession. Where taxation is lightest revenues increase and that is due to the unleashing of innovation, ingenuity, and investment. However, we are about to see the largest tax increase in American history as we allow the tax cuts to expire (and dont believe the liberal progressives as the expired cuts will affect every tax bracket). There will be an increase in dividends tax, increase in capital gains tax, the return of the death tax, the child tax credit will be cut in half, and the alternative minimum tax population will go from 4 to 28 million. This is not how you refill the treasury, although Secretary Timothy “tax cheat” Geithner believes that printing more currency is a method. It will be the indomitable American entrepreneur, and small business leaders, who will restore long term economic growth, refilling of the treasury, in America. When public sector, government, compensations are double that of the private sector, the treasury will not be refilled. I do not think we need to say too much on this; seeing that our curent national debt is somewhere near $14 Trillion. Every man, woman, and child in America would have to write a check for approximately $47K in order to erase this debt. The most troubling aspect is that a foreign nation holds much of that debt which adversely affects our foreign policy stance. This disease also finds itself permeating through our society where individual responsibility and accountability has become a forgotten premise. In the days of my parents we had “layaway”, you did not get the commodity until you could afford it. This ideal needs to be resurrected….and the idea of gross deficit spending buried. We are witnessing the development of a Soviet style Politburo in America, led by ruling class political elites. One need only gaze upon Congressman Charlie Rangel, a poster child for term limits, to apply this lesson from Cicero. It was never the intent of our Founding Fathers to have create career politicians, they were meant to be servants, representatives. 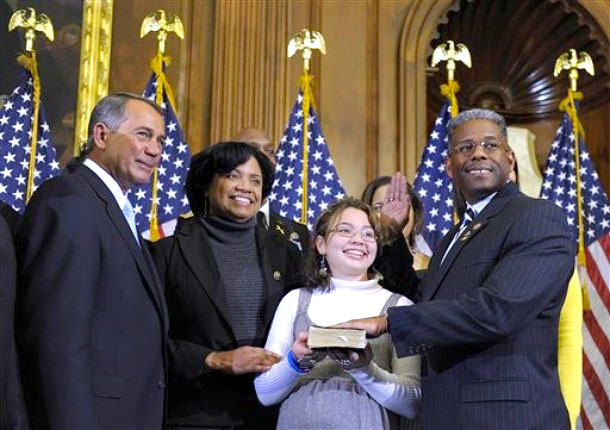 It was the intent of our founders that Americans of every walk of life would give of their time and talents to do the business of legislating for our Constitutional Republic…..then go home and live under those same laws. And the assistance to foreign lands should be curtailed lest Rome becomes bankrupt. Just replace Rome and insert America as we are nearing that dubious description, fearfully so. While assigned in Afghanistan I saw the preeminent example of this just to the east in Pakistan. We are embroiled in failing nation-building strategies. We find ourselves assisting foreign militaries such as in Lebanon, where Hezbollah exists, and their training results in deaths of our Israeli Defense Force allies…….and we have curtailed support to the IDF, while providing fighter jets to Saudi Arabia. America must develop a long term strategic vision, not election cycle soundbite policies, which promote our economic growth as an instrument of our national power. Conservatives believe in providing a safety net for our citizens, liberals offer a hammock. To hear the Speaker of the House, Nancy Pelosi, state that, unemployment checks are a means to stimulate an economy and create jobs is laughable….ok, doggone scary. America is not about creating victims and expanding a dependent, entitlement class, yet that is where we find ourselves. We have a Congress, which under the control of Pelosi and the liberal progressives, has seen unemployment in America go from 4.7% in Jan 2007 to a high point this year of 9.8%. The public sector is not how we solve unemployment. However, it must be clear to all in America that the goal of the liberal progressives is to have a majority of Americans wedded to government by subsistence or employment check…the end of the free market. As our children prepare to head back to school, lets us learn some lessons and do our homework. Cicero also stated, “the more laws, the less justice” and Thomas Jefferson counseled, “a government that is big enough to give you everything you want, is also big enough to take it all away”. And all it takes is for every America to study Cordova and what happened there in 711 AD to understand the relevance to the present day acquiesence and submission some would allow. We have a test coming up in America on Tuesday 2 November 2010, it may end up being our Final Exam. Will we fail or pass with flying colors? The choice is yours, remember the Voice of Rome, Marcus Tullius Cicero. As a student of history, and as someone who has stared down our Radical Islamic enemies in Iraq and Afghanistan, I know full well the enemy we currently face and the challenges we are up against. The Constitution allows for freedom of religion; however, this proposed mosque goes beyond the First Amendment. I’m not saying a mosque cannot be built in the United States, or even in New York City. But considering the myriad of external influences that are behind the funding of this so-called Islamic cultural center and mosque (including a tax-payer-funded trip for Imam Abdul Rauf to fly abroad as an “emissary” of the U.S. to raise funds for this project), as well as the fact that the location is sacred ground for millions of New Yorkers and Americans alike, this mosque should not be built. 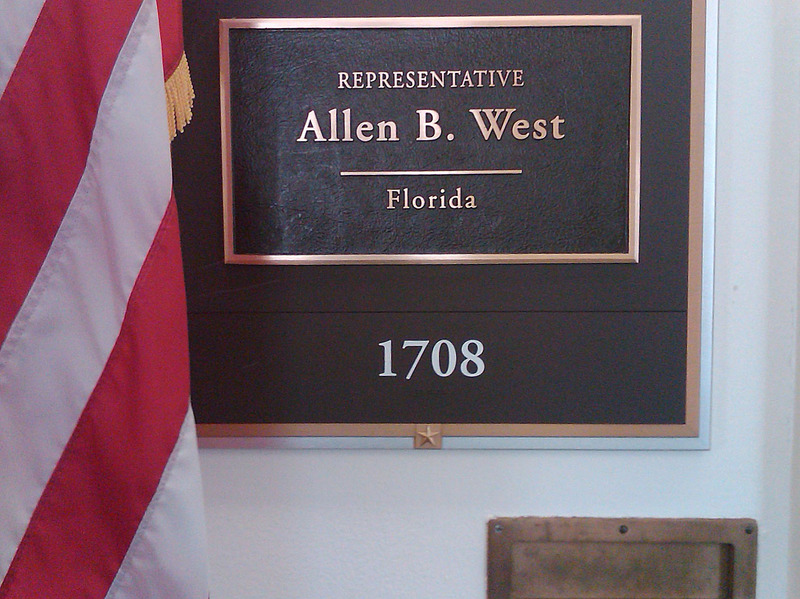 The good people of Florida’s 22nd Congressional District deserve to hear where their Congressman stands on this important issue. I have made my stance clear – I do not support the building of this mosque in its present location. According to a CNN Opinion Research poll, 68% of Americans oppose the Ground Zero mosque. If you agree with most Americans, I ask you to join me in signing the above letter to the President, demanding he side with the American people – and all freedom-loving people, from South Florida to Jerusalem, who wish to preserve this piece of hallowed ground in Lower Manhattan. Together, we can send a strong, bi-partisan message to the President that will echo the thoughts of millions of our fellow countrymen. I look forward to hearing back from you about this concerning issue as soon as possible.